This piece focuses on "Most Like An Arch, This Marriage," written by John Ciardi. It features a stylized illustration at top of an orchid and acanthus leaves, and a cut out in the double-matting to accommodate the couple's names and date of their wedding. 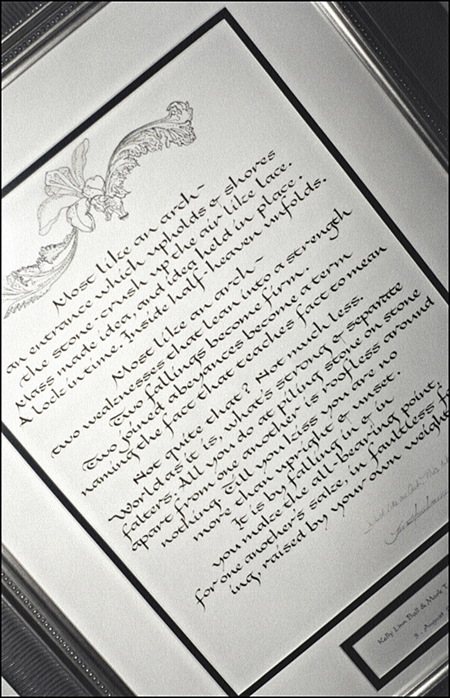 The calligraphy is a modified blend of the Legende hand and a squat, vertical Italic.